A handy guide to explore the Sacramento area. Just released from FalconGuides, the second edition of Best Hikes Sacramento: The Greatest Vistas, Rivers, and Gold Rush Trails expertly leads you through the area within an hour’s drive of this California capital. Author and California native, Tracy Salcedo, takes you through 5 different areas: Sacramento Metro Area, North Valley and Foothills, West Valley, South Valley, and Foothills South of I-80. The book starts out with a table outlining the hikes in each area that correspond to various best hike categories like bird lovers, waterfall, great views, and long rambles. Then, the meat of the book includes solid descriptions of the hikes with a map, summary information (e.g. distance, hiking time, difficulty, fees, etc. ), color photos, and a detailed route finder noting mileage, directions, and significant landmarks along the trail. 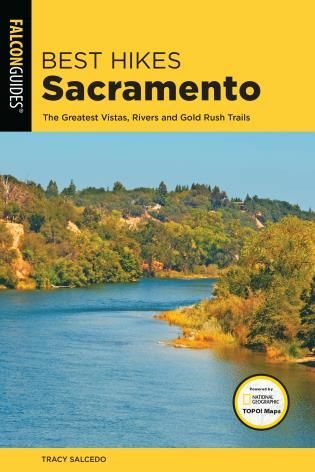 For a well organized guide that is chock-full of information, check out the new, second edition of Best Hikes Sacramento: The Greatest Vistas, Rivers, and Gold Rush Trails.